Men love the entire process of falling in love, being in love and staying in love.Men can fall in love often and are not afraid of jumping in with both feet. While there are some men who are withdrawn and shy the majority of men go for it. Many a female's asked herself the question, what makes a man fall in love. Men have a preconceived notion of what they want and when their idea of this aligns with a particular woman it's highly probable that he will fall head over heals in love with her. How to get a man to fall head over heels in love may be much easier than you know. It's been said over and over men are visual and while you might attract a man's attention, do you have what it takes to make a man fall in love with you by meeting the hidden criteria of his heart? You no doubt realize men are far less complicated than we women, it may be for this very reason men fall in love with little inhibitions. Men let go and let love rule the day. Men love to be loved and adored! Once you read this article you'll realize you have certain little magical buttons and once you trigger these magical points he will be putty in your hands. Be careful not to use this on a man unless you're committed to loving him back. This is not intended to make a man fall for you and then dump him, this creates really bad love Karma for you. Play fair and enjoy love! I first became interested in matters of the heart and love as a small child. I grew up with three older brothers. I experienced many case studies learning first hand the way a man's heart works. My childhood, adolescent and adult experiences allowed me to gain many particularly helpful insights as to what makes a man fall in love. There were many many times I noted a man falling in love, warned him this person was not right and it wouldn't work out. I could not stop the process as the triggers were to powerful. Long story short, I could spot a bad match but the triggers drove the man to love regardless. 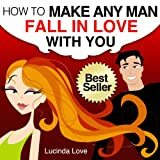 These insights taught me a vast wealth of information revealing the male secret triggers unlocking the heart of a man having him falling head over heels in love. Time and time again I noted these triggers working as if magical. In fact, it got to the point I could predict who a brother, or one of his many friends, would fall for by knowing them and understanding what was important to them. Could it really be that simple, save this to you favorites and read on. I’m not convinced if the guys are actually conscious of this process or give it any thought. But I’m aware of it and its historical certainty has proven itself over and over again with many a loving success story. Follow along as I unveil my documented studies of men and what makes a man fall in love. Men love putting women first, opening doors, carrying things and the such. Men are quick to protect you from harm whether it be the weather or something strenuous you attempt to do. Men look for opportunities to step in meeting your needs, they like to do what they can, things that differentiates them from us utilizing their worth as a man. Doing these things is welcomed as a man steps up to the plate feeling good doing so. Be romantic! 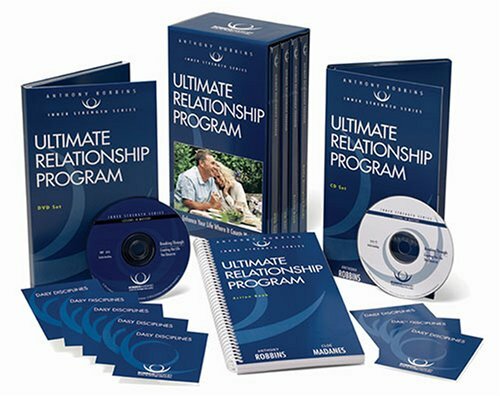 By allowing your inner romantic to thrive you become more open to making a man fall in love. I've helped many women bring out their natural instincts, so often suppressed due to pressures of society. I say to heck with it all, love is grand and there is nothing wrong with having your cake and eating it. Expressing your femine qualities work to your advantage. Go ahead learn to let your girlish ways flow naturally and enjoy the falling in love process. Men marvel over the differences, allow your differences to stand out, let your female flag fly. Our society has made this less the norm, it is for this reason you will need to let him know you enjoy chivalry. Remember men are looking for your cues so pause allowing him to open the door for you etc. Once you do this he'll be all over it feeling a special bond with you. Allowing a man to look after you in the simplest of ways sends a strong message to his male DNA prompting him to consider you as a mate. Ask him, ask his opinion about oh… anything, this lets him know you find him smart and value his knowledge finding him useful, needed and helpful. To attract a man let him see your weaknesses and allow him to help you. We girls tend to think we are expected to be strong and independent, doing it all ourselves, cast this notion out and let men help and assist. This lets him take charge feeling like a super hero, guys love that, it makes them feel all warm and gooey for you. Put him to work ask him to fix, open or move something for you in order to bond with him. This is more of the same on the nurturing topic. Play dress up soft, frilly and girly stuff flips a switch in a mans brain triggering an intense response that says, wow female, nice! Men are amazed, in awe of the soft and pretty side of women. While talking to him, listen attentively all the while twirl your hair between your fingers and watch the shift in him. You may also tilt your head slightly as you do this adding to the magnetic pull. Guys take great pleasure in your show of adoration and preference in him over other men. The next time you get a little chill pick up one of his shirts and casually put it on. You may want to put your hair up as well. Really letting your hair down around the man you want sends strong signals to him saying we are good together, this feels good! Let Your Inner Girl Out - Celebrate your differences and wow him with a frilly apron while you cook. This simple act triggers a feeling of something special and loving. These type of things screams "I'm happy to be a chic" he'll find this magical as you can let your hair down around him. Wear his clothes anytime you wear a mans clothes it tells him you want to be near him and take comfort and pleasure being snug and cozy in his clothes, smelling his scent etc. Dress Up men love it when you get all dressed up for them. It makes them feel special, wanted and gives them a more intense desire to spoil you, pamper you, take you out and show you a great time. So if this is what you want buy that little black dress or what ever your color choice is a new pair of shoes and look drop dead gorgeous. Don't pick a man you think you can change, pick a man you like just the way he is and love that man for what who he is. Let him be guys need to know that once they become involved with you their lives can remain the same. It's important to show him you have no plans to change him or make him better. So, make sure the guy you choose is the guy you want. Men love their freedom, need to hang with their friends and have guy time in the man cave. If you’re a woman who doesn't interfere with this he’s far more likely to fall in love with you. Switch things up show the many sides of your happy to be a chic chic, the t-shirt and jeans with hair in a pony tail gal and the up do librarian type etc. Men love to see changes in your appearance. It keeps the allure and exciting wow girl factor burning. Men love all the versatile physical differences and are fascinated with it. Keep Private Girl Stuff Private as men place women on a pedestal, it’s therefore in your best interest to keep private things private. Leave as much to the imagination as possible. There are things men don't want to know about women, these things you should keep private to keep your man romantic and in love. Don’t spoil the magic of your mystery. For example keep your grooming rituals and other female issues private. A man doesn’t want to know of such things, again leave as much to the imagination as possible. Allow him his own space to do the same. PLUS, Don’t take over his space or get rid of his things. In time he will come to these decisions on his own as you merge your things. Make room for his taste and embrace it. What I know is this, men love us for our differences and adore all the mysteries of being a female. Celebrate and honor those differences with a kind and loving heart and you will find amazing and boundless love. There is nothing better than when a man loves a woman. 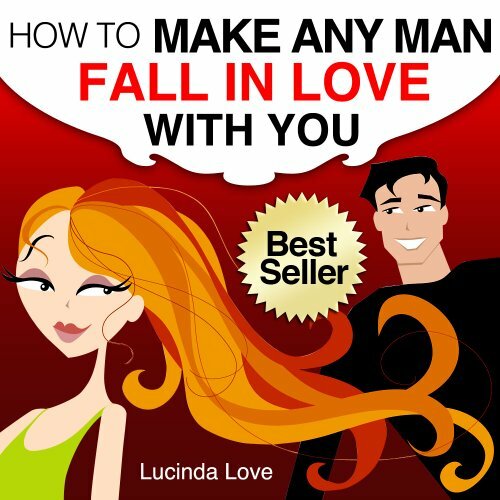 Chat about how to get a guy, make a man fall in love with you and what men want. So happy you and your boy friend found this page agreeable to both sexes. Thanks for the feedback.